This weeks anime is going to be a weekly post that I will start covering what anime I watched that week. For the most part it will be one anime series a week unless I feel the need to post more than one. Seeing as I watch anime everyday I thought it would be a good idea to share what I watched that week and give brief thoughts on it. This weeks anime is Blade and Soul. 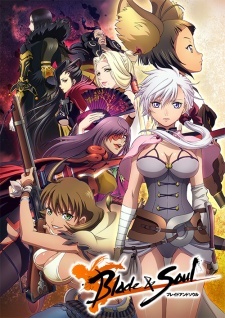 Blade and Soul is about a woman named Alka who is trained by an assassin tribe. Her master gets killed and she sets off on a mission of revenge. During this mission she encounters several people who have their own vendettas and secretes. As she encounters these individuals some die and some influence her decisions she has made. How will this affect her mission of revenge is what you will find out in this weeks anime. I came upon this anime looking through trailers of anime and thought this reminded me of a game that I saw few years back. Sure enough this Anime is based off a game made by Ncsoft of the same name. (game trailer above) Although I never got to play the game I said let me try the anime out and see how I like it. I was pleased with the story and action but the ending felt kind of rushed. But don’t want to spoil anything so be sure to check it out for yourself. Be sure to click the anime tab above or HERE for more weekly recommended anime.